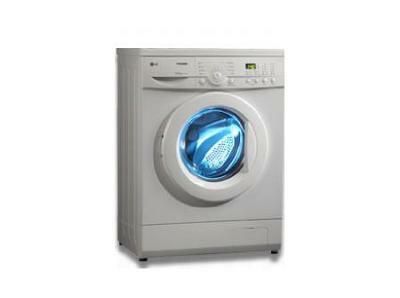 LG WD-15265TP is a front loading 6.5 kg washing machine. Though i would not recommend to use this machine in its full load, this is an excellent front loading machine. All its functions are fully automatic and have touch button control which is good as you do not have to deal with messy knobs. It has a water heater which helps remove tough stains. Minimum time taken in auto mode for a full wash cycle to complete is 1.5 hours. I have been using this machine for more than a year and it gives me an excellent wash compared to top loading machine i was using. Edges like collar use to be damaged in my top loading machine but same is not the problem with this front loader. In India only problem with LG machines are when you have to repair any parts after the one year warranty period. some times the cost of parts are some what comparable to that of a new machine and if the problem is big it takes too much time to get it repaired. Except that you do not have any problem with this machine. So keep your finger crossed and buy this machine if you need a front loading washer.